Stacy Miller, PhD, RD, CLC, is the Breastfeeding Specialist for the Prevention Services Division at the Colorado Department of Public Health and Environment. Stacy leads breastfeeding protection, promotion, and support programming for the Colorado WIC Program, the Maternal and Child Health Program, and CDC-funded projects to reduce childhood obesity. 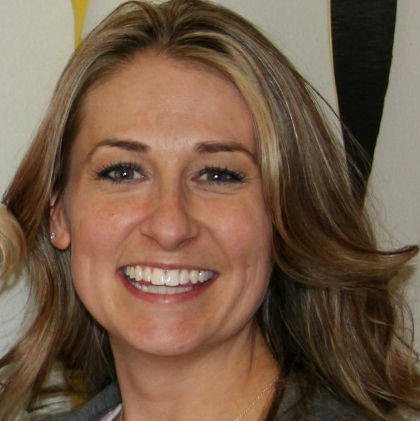 Stacy facilitates the Colorado Baby-Friendly Hospital Collaborative and actively promotes and supports workplace lactation accommodation and breastfeeding friendly child care initiatives throughout the state. Stacy is a Registered Dietitian and CLC and loves being a part of the passionate and inspiring lactation community in Colorado. Stacy received her BS degree in Biology from the University of New Mexico, and her MS in Community Nutrition and PhD in Nutritional Science from Colorado State University. Stacy is a mother to two amazing young daughters and outside of work enjoys traveling, baking, gardening and spending time outdoors with her family and two dogs.